They have gone around racetracks and navigated the streets of several cities, and now for the first time a vehicle capable of driving itself has completed a cross-country road trip. The Delphi Automotive autonomous SUV arrived in New York this week after the 3,500 mile journey - the longest autonomous drive ever. The car, like many on the market, is equipped with GPS and a collection of sensors and cameras, but it goes beyond average in its reliance on those technologies to steer through traffic and brake on its own. The trip started in San Francisco near the Golden Gate Bridge. "The car actually handled extremely well," said CNET car tech editor Wayne Cunningham, who got a chance to drive it at one point. "When it saw other cars around, it slowed down. It was following the lane lines too." During the trip, the car always had a human behind the wheel. 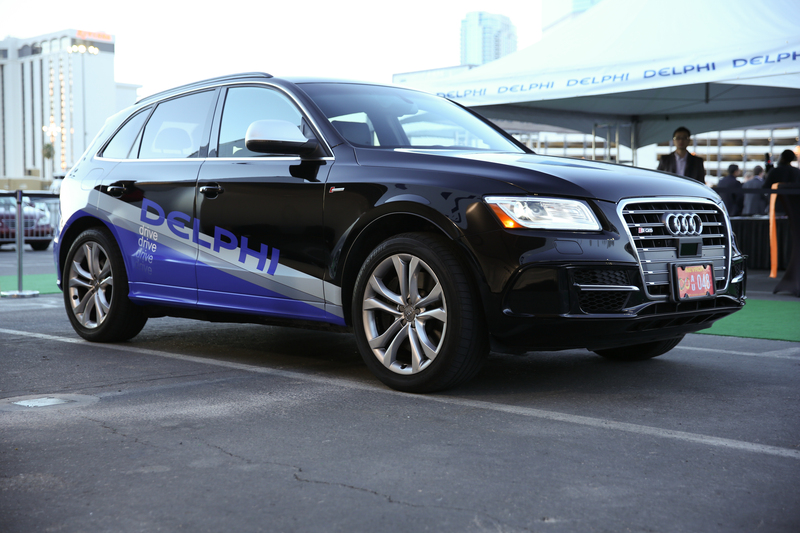 Delphi joins several other automakers and tech companies developing self-driving autonomous vehicles that could be ready for market as early as 2020. Many cars on the road today already have some of this technology built in. Ford, for example, has models that help you automatically parallel and now perpendicular park your car, adjust your speed based on traffic flow and even apply the brakes. It is also rolling out a new feature in Europe that will read the speed limit sign and, if necessary, slow you down. "We have a lot of these semi-autonomous building blocks and we have autonomous research vehicles on the road today," Ford CEO and president Mark Fields told reporters this week. Still, the path to fully autonomous vehicles is littered with potential roadblocks. Among them are the attitudes of motorists to self-driving cars, the lack of regulations allowing them on the road, unresolved legal issues should they be involved in a crash, and technology which must take into account the myriad of scenarios encountered on the road each day. "For full autonomy to happen, you will have to have cameras, radar, sensors, LIDAR systems and the algorithms to coordinate all that data and use that data to then compare to dynamic 3D mapping," Fields said. "That will also mean the processing power in vehicles will have to increase markedly." While a vehicle with most autonomous features could be on the road within five years, Fields said "we are many years away" from a vehicle that would allow drivers to "hit the button, go to sleep and go to grandma's house." "I think we are 20 years away from that," he said. "Full autonomy in a predefined area that has been 3D mapped in a couple of block area in New York City, I think that could that could happen much sooner."